Top Criminal Defense Attorney in Round Rock, TX! Rate and review Winnie A. Bates, Attorney at Law in Round Rock, TX, United States! 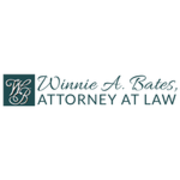 Share your experiences at Winnie A. Bates, Attorney at Law with your friends or discover more Divorce and Family Law in Round Rock, TX, United States.